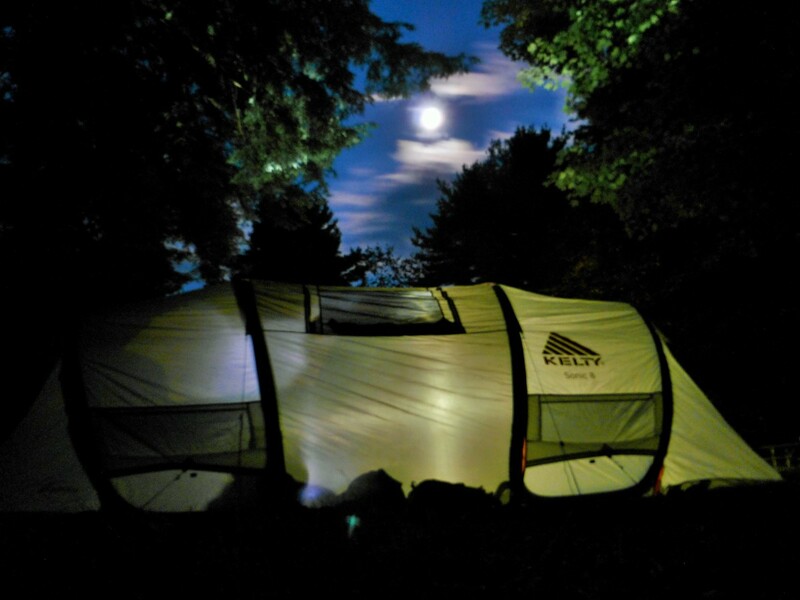 So you've decided to channel your inner nocturnal nature and mosey out for a night hike. 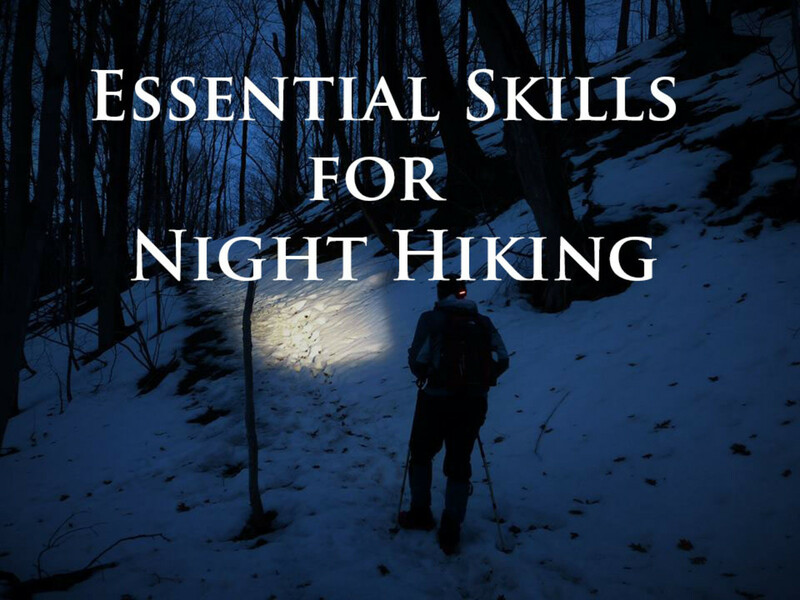 Before blindly stepping into the woods, spotlight in hand, for a few hours of thrashing about before calling Search and Rescue, you may want to study a few techniques for a safe night hiking experience. For example, did you know that the preferred method of night hiking is to do so without shining a light everywhere you are walking? Did you realize that despite a lack of tapetum lucidum (glowing eyes in some mammals) that humans still have the potential for amazing night vision? 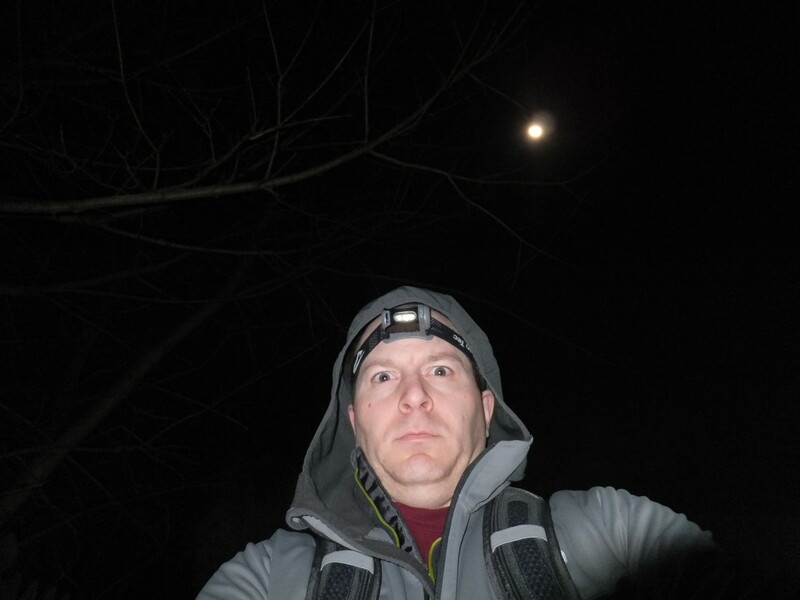 Don't worry, night hiking isn't nearly as scary as this photo. There are people amongst the hiking community who loathe the very idea of night hiking. And whereas night hiking has its dangers, as does crossing the street or merely walking out your door, there are advantages to this nocturnal mode of hiking. So why hike at night? Why yes, it is super cool to hike at night, but it can also be a welcome respite from the hot sun too. Many hikers traversing desert regions, choose to rest during the day and hike through the night. Along the humid Mid-Atlantic states on the Appalachian Trail, I avoided the burning orb in the sky for the comfort of darkness on many occasions. At night, with your other senses heightened from a lack of sight, you'll be amazed at the wildlife you'll observe. The sounds in the dark, the glittering eyes, and even the smell of the night will greet you as you walk. So you are taking the 41-mile one day Maryland A.T. challenge, or hiking the Cranberry Lake 50 in one day - you are an endurance hiker. 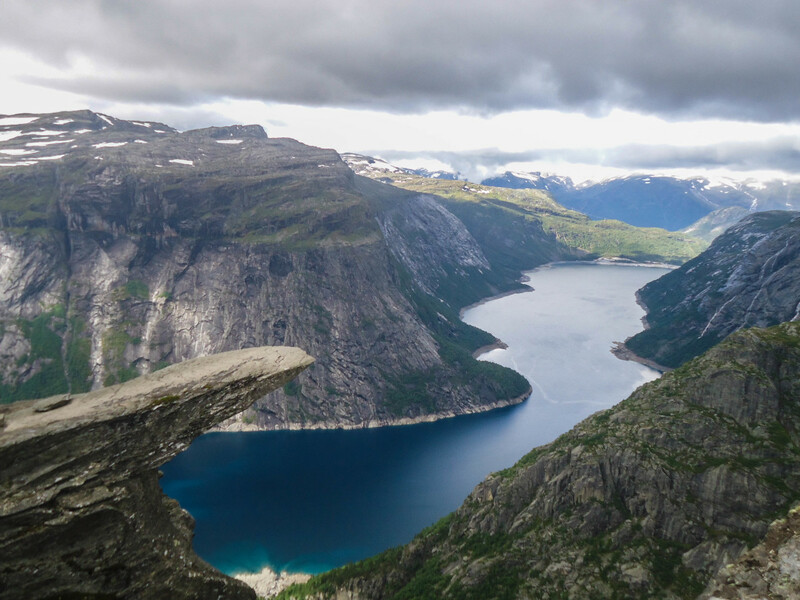 Often, these kinds of hiking challenges take more hours than daylight can give. Sometimes hiking trips won't go as planned (it is usually more fun when they don't). It's nice having a skill set allowing you to hike safely through the darkness in case you have to. Though the following safety measures apply to hiking at any hour of the day, with the added factor of night's shroud, they become even more critical. Before planning on night hiking, or any kind of hiking ensure you are physically able to handle the rigors of negotiating rough terrain. Consult your doctor to make sure you are healthy enough for hiking activity; hikes lasting more than four hours are desirable. 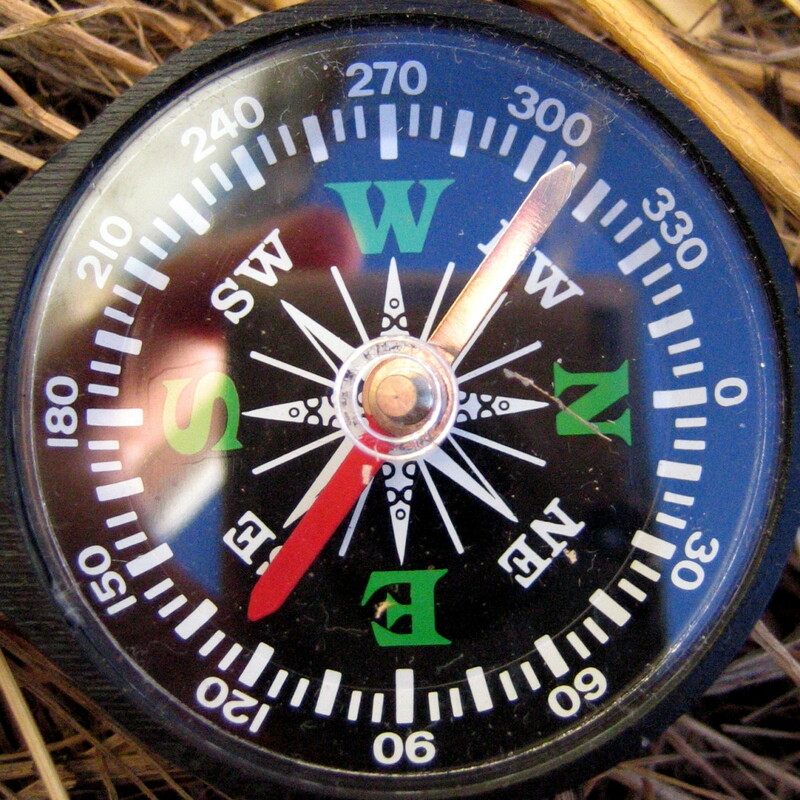 Before embarking on your hike, make sure you are carrying the "ten essentials" in your pack. The "ten essentials" are basic survival supplies that will get you through an emergency if things don't happen as planned. For more information about what you should carry, check out my article The 10 Outdoor Essentials. Also, dress appropriately for the weather and climate. This means non-cotton, quick drying, wicking clothing worn in a layered system. Wear sturdy hiking shoes which offer enough support for rough terrain while still giving you flexibility and agility. In the absence of the sun, the night air becomes chilly, make sure you bring an extra layer or two. NEVER NEVER NEVER point your flashlight or headlamp at someone's face - always point it at the ground or turn it off when approaching another person. This method is what most people think of when taking a night stroll, breaking out the flashlight and exposing the hidden obstacles of the trail. You have extended your hiking hours by creating your own portable source of daylight. Though many think there is nothing to this method, other than possessing the biggest and brightest flashlight available, there are a few tricks in the technique. Hiking with an artificial light source creates a myriad of reflections, shadows, and skews depth perception. As you go to place your foot on what appears to be solid ground, you may notice a sudden lack of soil. In the confidence of your foot placement, you continue down, twisting your ankle, and lie there till the morning. Part of recognizing how shadows trick our minds is practice, the other part is slowing down and walking with a different cadence. First placing the foot, then transferring weight - this walking method is also used in headlampless hiking too. Perhaps the most important thing to learn as a flashlight dependent hiker is that there are other hikers on the trail that don't share your philosophy. They have spent hours becoming accustomed to the dark, they don't need you shining a flashlight in their eyes - it really isn't helpful. Please turn off your light until they pass, or use the red light on your headlamp. We don't want to see fights break out in the wilderness. This workhorse of a headlamp packs 230 lumens and can run up to 160 hours. Which headlamp do you prefer? My first headlamp was a mini maglite that I strapped to a headband with a piece of Velcro. I can remember bike touring, wearing that thing; I have no idea how I didn't kill myself. I left that rig in a lean-to somewhere by accident and walked for a few days without a flashlight of any kind. A few days later I purchased my first Petzl headlamp at an outfitter in Vermont, and I haven't gone back to hand flashlights since. 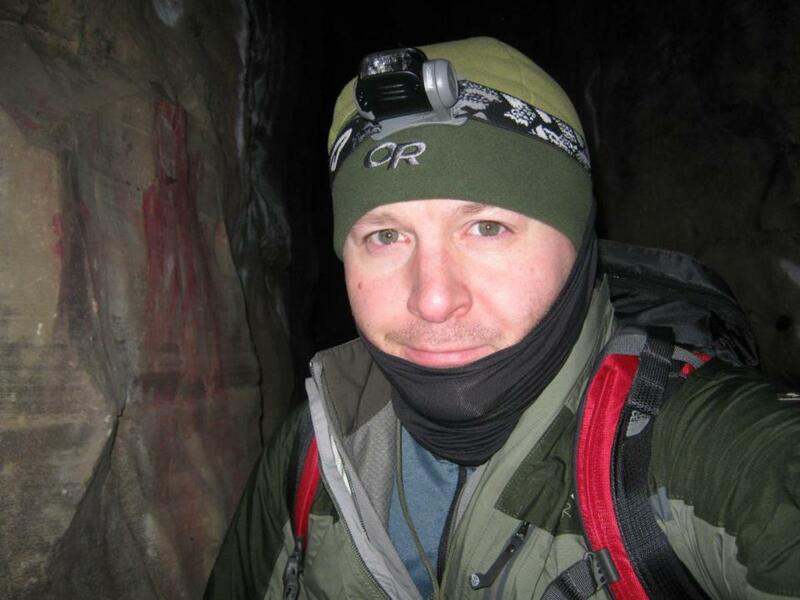 So why are headlamps better than handheld flashlights for camping and hiking? When your hands are free from waving your light wand, they are free to use trekking poles, read maps, cook, and fight off rabid racoons. LED bulbs - they don't burn out and are much more battery efficient. 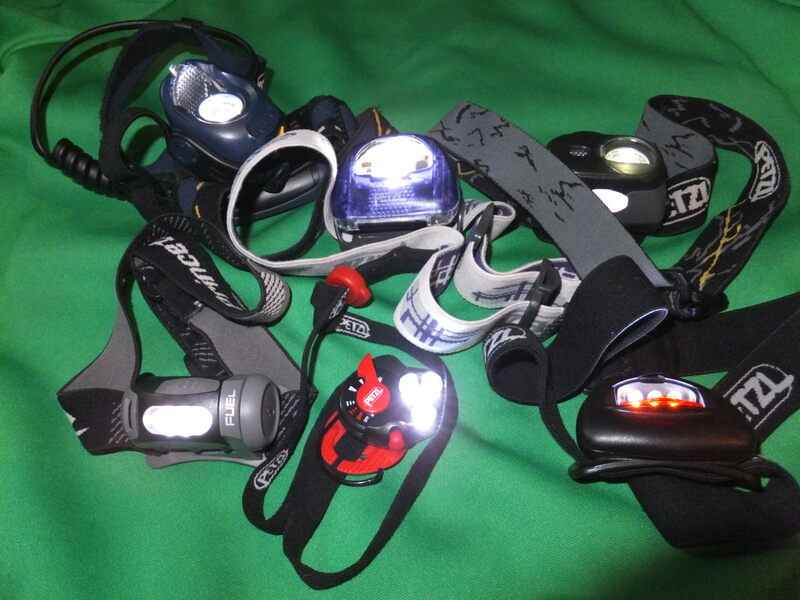 Many of my headlamps get about 120 hours of light on one set of batteries. One of those bulbs should be red - it preserves night vision. 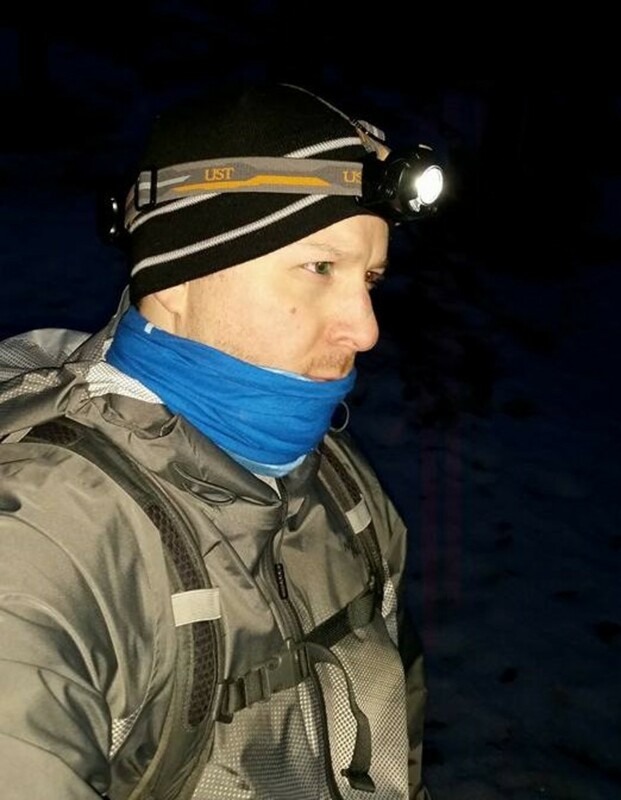 Comfortable head strap - if you are going to wear the headlamp for many hours, it needs to be comfortable. Lightweight - sure that gigantic headlamp may be bright, but after six hours on your head, your neck is going to hate you. 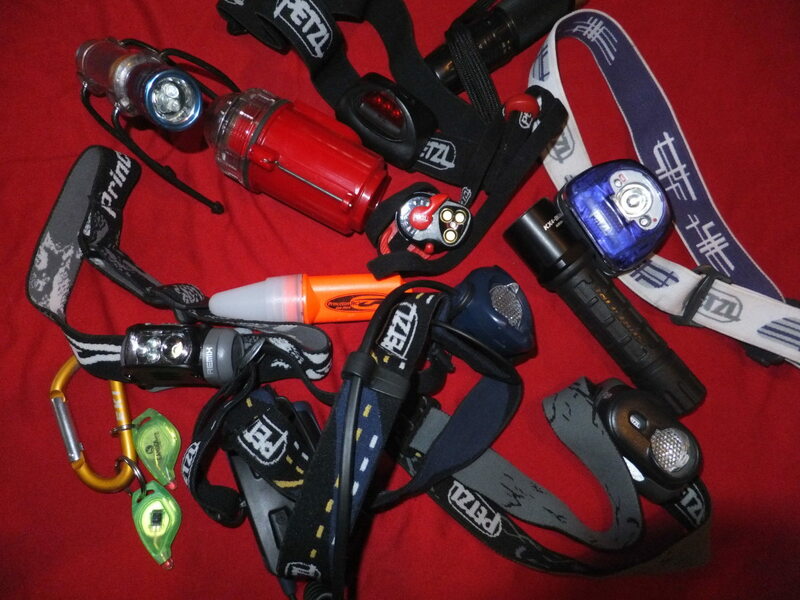 Reputable brand - purchase headlamps made by a reputable headlamp brand like Petzl, Princeton Tec, UST or Black Diamond. You don't want to be stuck in the backcountry with a flickering headlamp you bought from the local big box store. Set your GPS on "night colors" so when you check your location you don't lose your night vision. This method is indeed a skill and one that takes confidence and practice, and that is to hike without the aid of a light. It is also the preferred method of night hiking. Many night hikers consider this method much safer; it is surely much more in-tune with nature. This technique can be dangerous (as is all hiking), so please be careful. This method is part attitude, part science, and part gear. Exploring at night without the aid of a light requires an attitude shift. You must see yourself as a creature of the night (not in a weird vampire teen-drama thing), as a woodland community member that walks without fear amongst the shadows. 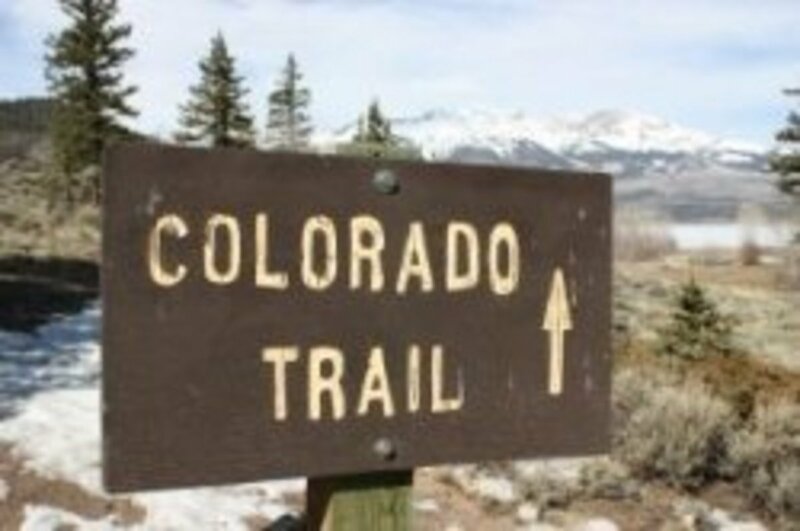 I was backpacking once when I heard calls in the night of "I think the trail is over here." The shout and grumble of a reply were accompanied by the bright lights of lost individuals. I kept walking, my lamp turned off, assuredly down the trail toward the calamity. 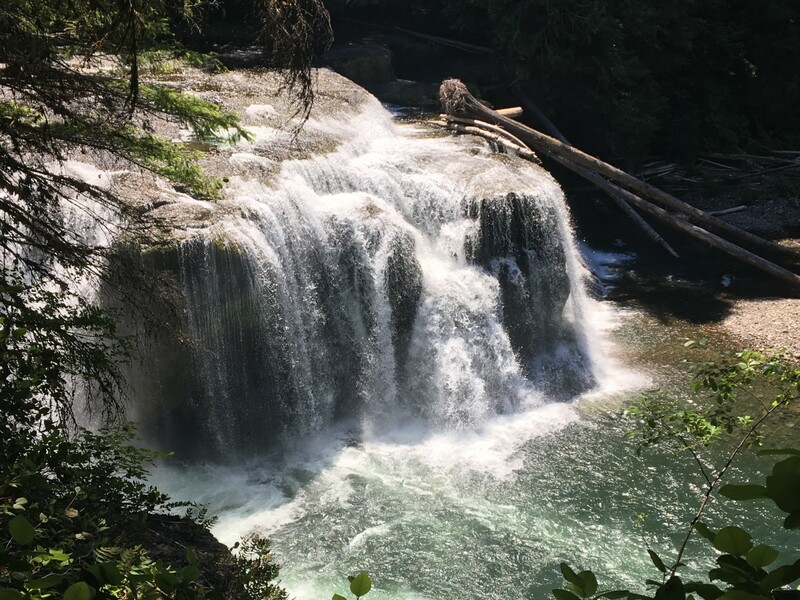 As I approached them, their wandering beams still yards off the trail, I shielded my eyes with my hands and spoke to them, "what are you guys looking for?" Of course, they shined their lights directly at my face and I was glad I had my hands over my eyes. I found out they were going in my direction, so I offered to take them on the condition they turned their lights off. They reluctantly shut off their lights as they followed a total stranger into the night (Note - not always the best idea). In this technique, you rely the night-sensitive rod cells of your eyes to see in the darkness. Whereas we rely on the cones in our eyes for most of our visual needs, color vision and high resolution, our rods are important too. 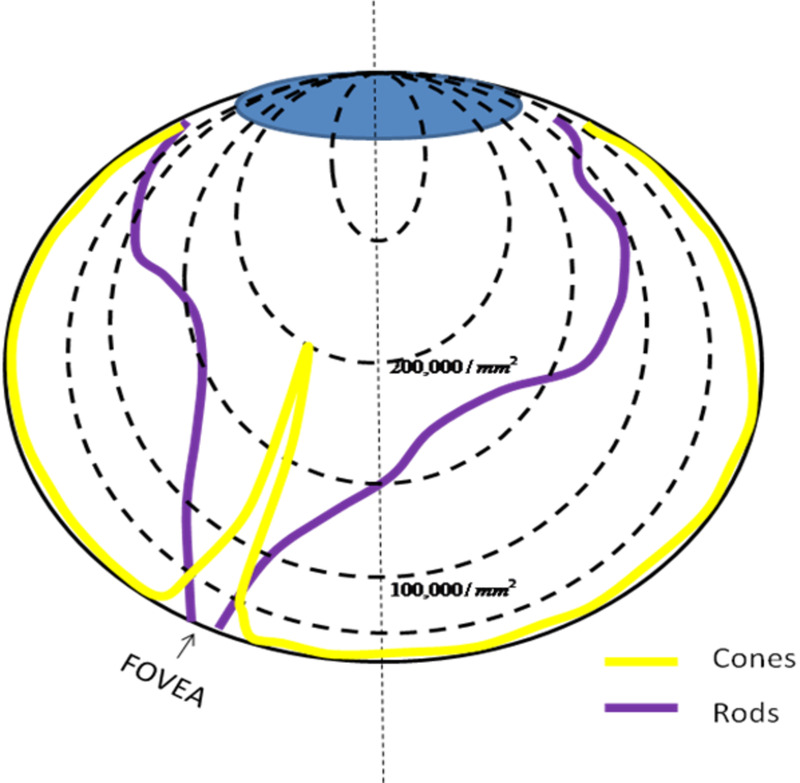 Rods provide peripheral, motion, and low-light vision. Though rods are better photoreceptors, it takes a long time (usually about 40 minutes) to adapt to darkness. That is why we can't find the bed as soon as we turn out the light. When people hike at night using their rods, many stop focusing their eyes and allow their vision to turn blurry. Sometimes it helps to gaze into the darkness through the edges of your eyes. 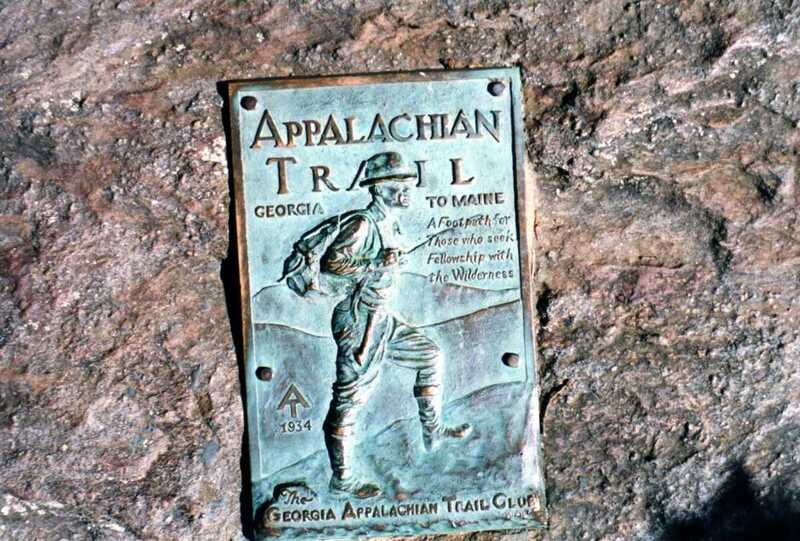 Hiking Poles - The visually impaired have been using canes to aid in mobility for centuries; hikers use trekking poles. I use Leki Super Makalu poles to help feel my way through the dark. Flexible Hiking Boots - I wear flexible boots that allow me to "see" the trail with my feet. Stiff mountaineering boots are great for climbing but kind of clumsy for night hiking. As a rule, night hikers using this method should still carry headlamps - just in case. Though our rod cells are great, it is nearly impossible to read a map or a sign without a little assistance. Just make sure you use the red light on your head lamp; red light doesn't destroy night vision. While pulling down your pants and bending over certainly expresses your jocularity, it probably won't help guide your way at night. Practice night hiking on an evening when the moon is full, or nearly so, and you'll be surprised at the amount of light reflected off its surface. Sit and listen to the creeks and whistles of the night. Even with a multimillion lumen headlamp, it is hard to see every wayward branch seeking to make you one eye short. 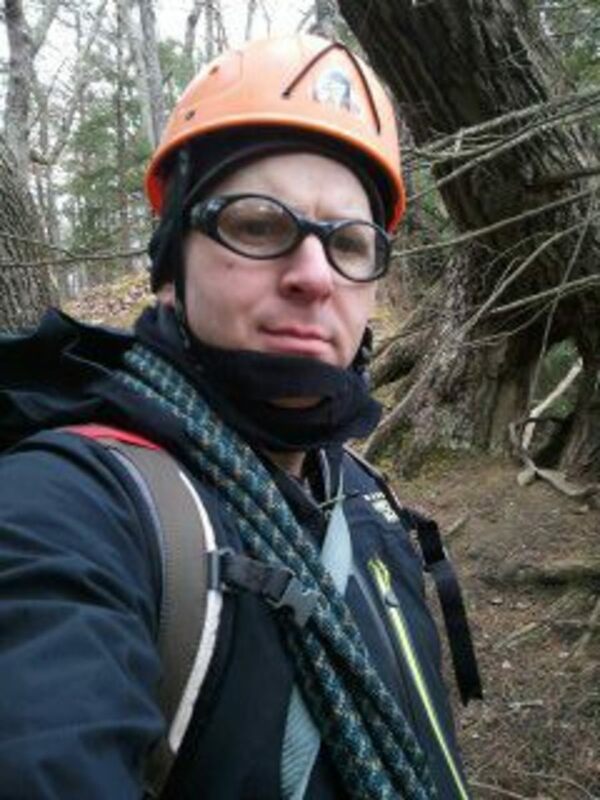 If you plan on night hiking, an inexpensive pair of safety glasses is essential for protecting your eyes. For the gear junkies out there, look at a pair of Native Eyewear glasses with Interchange technology like the Nano. Just swap out the grey polarized lenses you use for the sun's glare for a set of clear lenses for night. If you are an ultralight backpacker and don't care to carry an extra two-ounces for glasses, the brim of your hat will stop many branches from a good old eye poke. As a caution to gangsta' hikers, make sure the brim of your hat faces forward. 2 years ago from Saint Louis, MO. This is a cool hub. My husband is a night person and likes being out in nature at night. This will be a really cool read for him. Great hub, Dan. This was so interesting and useful to know about night hiking for any season. If you need to use a flashlight but want to maintain dark adaptation, cover one eye. It will stay dark adapted. There is nothing quite as relaxing as hiking in the cool of the night on a moonlit trail. Thanks for the comment nifwlseirff! The world is much quieter at night. I find night hiking more relaxing (usually) than during the day, especially on popular trails! Great information, thanks! I've been on a few deer tracking expeditions myself, it's always fun looking for a trail when darkness falls. Hopefully you get out for a night hike. Great and informative hub! I haven't been on too many night hikes, but I have gone on numerous night treks through the woods and fields tracking deer. We only use head lamps and one lantern when necessary (Most times we already know where the deer is before nightfall, so that helps greatly). Will definitely be referencing this hub if I ever get the chance to night hike this summer. Ha, when I worked camp staff I would walk flahlightless all over camp trying to intercept Scouts on raiding parties. I had a great couple of listening posts and usually stopped trouble before it happened. I learned to night hike trying to get from one cabin to the other without the counselors discovering our adventures. A flashlight was a sure way to get caught. As an Eagle Scout you probably where always where you were supposed to be. As always it's great to learn from your experiences. Reading search and rescue reports around the world, rescues are almost always the result of poor planning and under-preparedness. I'm glad I gave you some "ah ha" moments. Thanks for stopping by and commenting jenubouka! Great article, love all the gear details. The information about night vision was extremely helpful and delivered me quite a few "ah ha's" to the troubles of hiking at night. 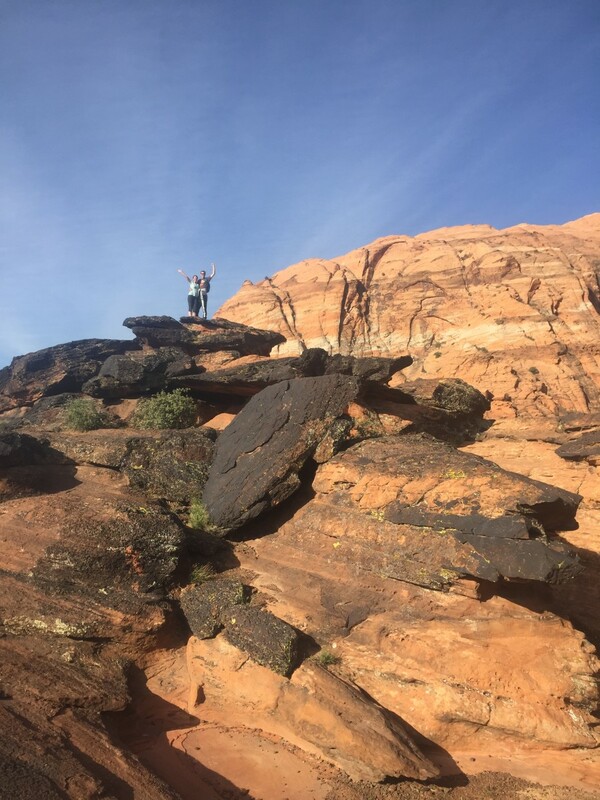 Where I live we have ample hiking treks that offer an incredible amount of different challenges, however, the biggest or most dangerous one is the extreme drop in the temperatures at night. I live in a dessert climate and many of climbers/hikers tend to request rescue due to their lack of gear. Again, awesome read and great detail of gear! Well I am an Eagle Scout - the Scout motto is "Be Prepared." Now that Discovery and Bear Grylls parted ways, I was going to give them a call. I'm not sure if they'd even have to pay me, just ship me off to exotic places. I think that night hiking is within everyone's reach. Start slow, go out on a clear moonlit night, and stay away from cliffs. Thanks for stopping by as you often do and commenting cclitgirl! Dang, OD. I think you quite literally are prepared for anything! Social gatherings, hiking at night, hiking solo. Yep, you could open your own school on "how to be prepared for whatever life throws at you." :) Great job. 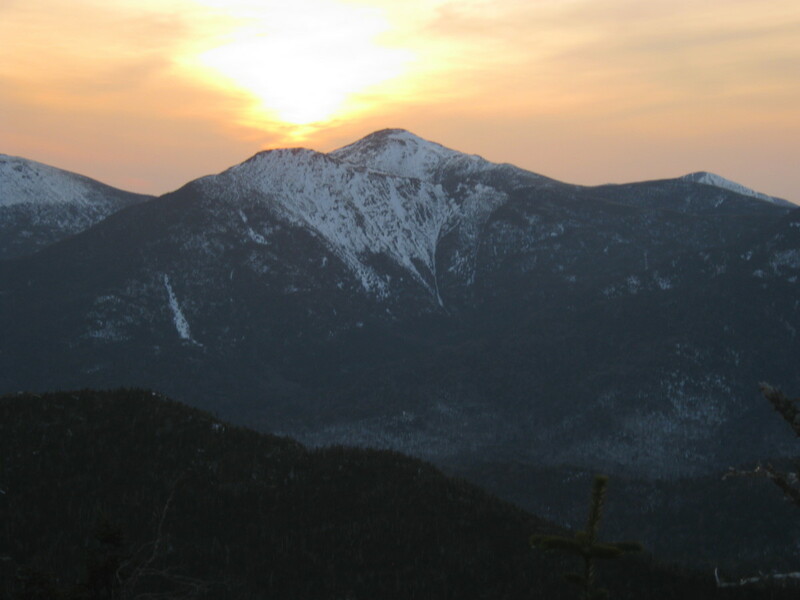 I'm not sure I'll do night hiking: with my accident-proneness, I'd likely tumble down the mountain. (I wrote about that experience in my Big Bend hub, lol.) Another informative hub. Voted up and across. I wouldn't worry much about being too responsible, you have to achieve a balance between fun and safety. I guess that's all part of risk management. 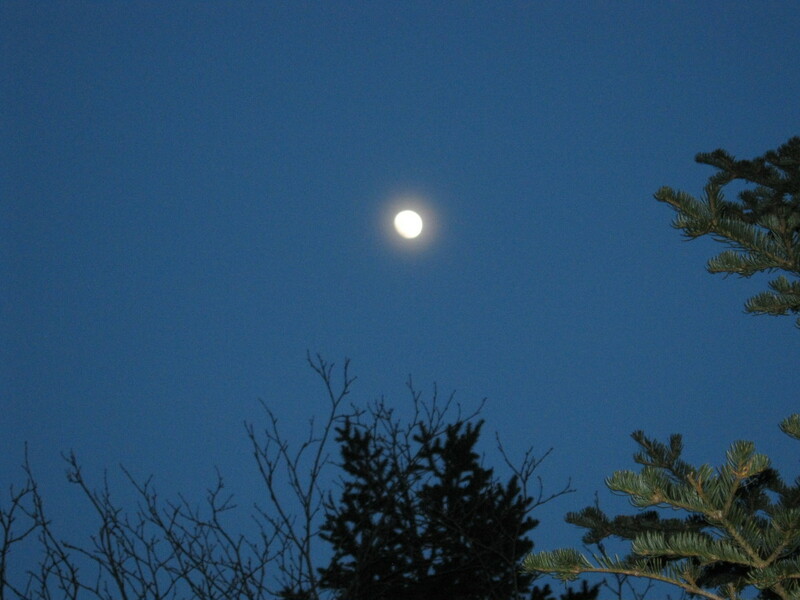 You can't beat a great night hike, or even better cross country skiing by the full moon - it is an awesome tradition. Ha, I'm working on a review of my infrared camera. They do come in handy. I LOVE NIGHT HIKES!!! Haven't been on nearly enough in my life, and certainly haven't been on many serious ones, but hiking at night has been one of my favorite things to do while camping and backpacking. Your advice is fantastic- and reminds me that I need to be MUCH more responsible about my solo walks in general- be they by day or by night. 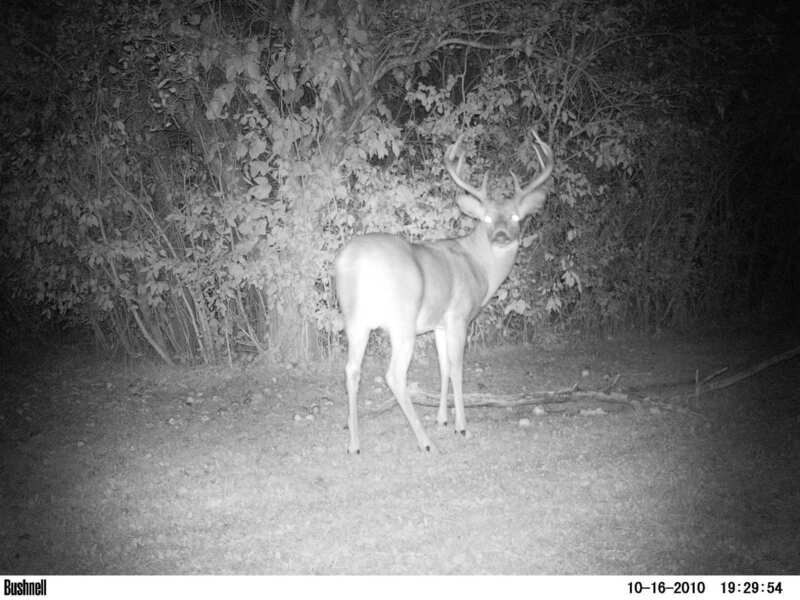 By the by, I'm totally jealous of your infrared Bushnell game camera. Don't know what I would do with one... but I totally want one. I actually kind of liked Maryland, so I didn't do the challenge plus I arrived mid-day. Maybe someday though. When I've done endurance hiking before, like on the Finger Lakes Trail, I prefer to start at sunset. I like being fresh while night hiking, then hiking in the daylight as exhaustion sets in. I think that is a great section - full of history. I'm sure you'd enjoy it. Thanks for stopping by and commenting bankscottage. Another great Hub! The Maryland 41 I have heard call the 4 states in 24 hours (Start in VA, thru the short WV, thru MD, and arrive in PA). 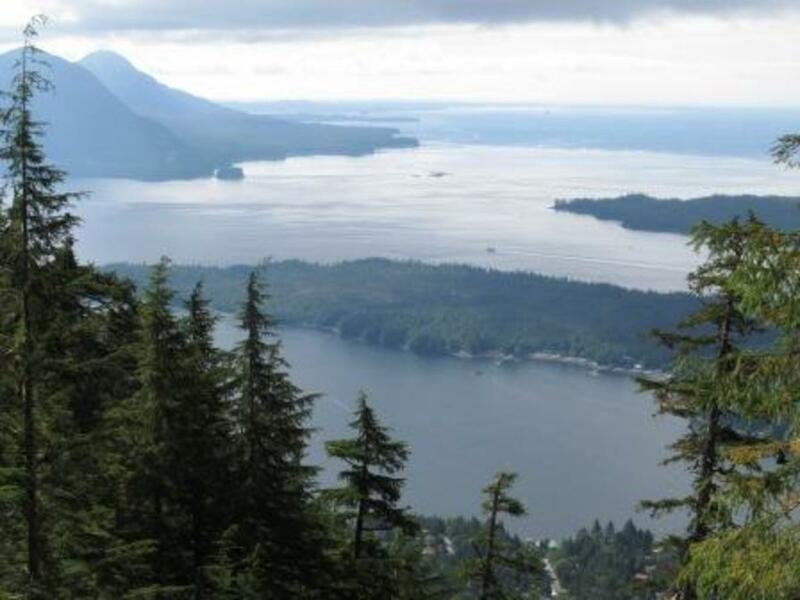 This is the section I am currently day hiking when I get the chance. I don't think I have the endurance or skill to go 41 miles in 24 hours. But, if I ever do decide to try it, I will now know how to prepare. I also wondered what would be the best time of day to start. I think I would start late afternoon or early evening as the sun goes down and try to finish before the heat of the following day.